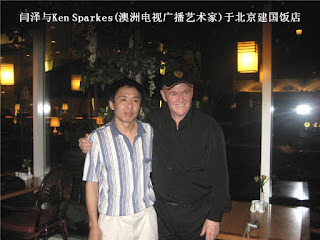 Ken ‘Sparksey’ Sparkes was born in 1940 in Surry Hills New South Wales, Australia. As a young teenager he spent time in Princess Juliana Hospital Turramurra NSW, and was soon on hospital radio, playing requests for fellow patients. He began work as a junior radio announcer at 2MG Mudgee, in country NSW in 1956 (aged 16), and three years later he was Sydney’s youngest DJ, working for 2GB Sydney. There he hosted Australia’s first chart show ‘The All Australian Hit parade' for the Macquarie Network. The Greater 3UZ Melbourne took notice and offered him the position to take over the night time slot on the then dominant radio force in Melbourne. With the backing of Lewis Bennett, he was allowed to expand his talents and became the Cities Number 1 DJ. He presented a variety of programs on the network including a live show called Music Man and “The World of the Motor Car.” It was his dream job for Sparksie was a petrol head. From the late 50s to the mid-sixties, Ken had a brief flirtation with recording rock and country songs for Rex and Festival Records. The man with one of the best DJ voices in Australia was less successful in the charts. From 1964-1967 Ken hosted a pop music program called Kommotion (Channel 10 Melbourne) which was originally shown in daily half-hour episodes with an additional one-hour special on Sundays. Kommotion provided a crucial outlet for 'beat' pop in Australia, and an energetic and 'hip' alternative to the comparatively staid variety format of the Nine Network's Bandstand . 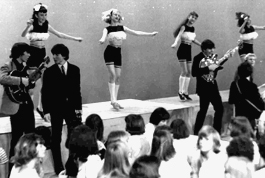 The niche audience for the program was the younger teenager, similar in its style to Shindig (US) and Top of the Pops (UK). Kommotion became the model for Countdown in the 1970s, and even featured a young Ian "Molly" Meldrum. Many local acts were showcased but so too were international hits using purpose-made film clips (pre-dating music videos). Kommotion also had a troupe of young performers who danced and/or mimed to the latest overseas hits. The end of the program came when Actors' Equity imposed a ban on miming on all music TV shows in 1967. In 1969, Ted Randall, a visiting US radio consultant, heard Ken on 3UZ, and invited him to join KCBS (AM)/ KCBS-FM Los Angeles. Ken Sparkes presented daily shows from 1969 to 1971. Ken also spent some time in Vietnam for a US radio network with the Screaming Eagles 101st Airborne Division, during this time. Back in Australia in 1969, he co-founded independent record production company and recording label called the Sparmac record label with record store owner, John McDonald. (The Disc Shop, Melbourne), The name of the company was taken from the combination of their surnames. In 1970, the major international record companies forced Australian radio stations to pay a royalty for playing their recordings. Radio stations reacted by refusing to play these records and opted instead to feature artists from independent record companies. This gave a major boost to local talent and in 1971, the label released Rick Springfield’s first solo hit, “Speak to the Sky”, and had its biggest hit with Daddy Cool’s Eagle Rock (1971). Their debut LP, Daddy Who? Daddy Cool became the biggest-selling Australian pop LP ever released up to that time. Sparkie sold his share to the label's first recording artist, Robie Porter ("Rob EG"). He returned to Australia and worked for 3UZ before moving to the breakfast program 5KA and 5AD Adelaide, 3AK Melbourne, 2UW, 2WS, 2SM and 2UE Sydney, until 2007. 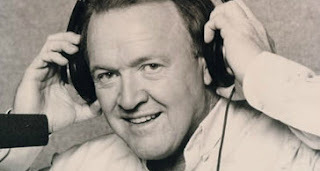 Ken had a tandem television career and performed as an actor, singer and host on many pop and late night shows including, Bandstand, Hi Fi Club, Australian Pop Music Awards, and The Johnny O’ Keefe Show to name a few. He briefly worked as a bit actor in the 70s appearing on popular Australian dramas including Homicide, Bellbird and Division 4. His golden voice lent itself to “voice overs” and became one of the most heard voices on Australian electronic media. His voice was so popular he worked for Channel Ten Sydney and Channel 9 Melbourne. Ken eventually stayed the Nine Network working with A Current Affair and Sixty Minutes. 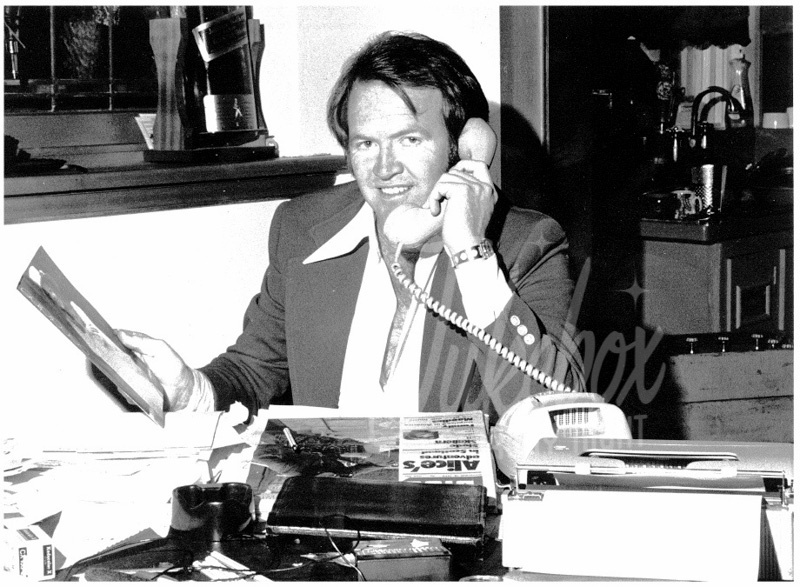 Ken loved sport and motor racing in particular, he became a sportcaster for the Seven Network, TEN Network and Nine Network’s Wide World of Sport hosting the Formula One coverage. In the 1980s he formed A-CAM Video & Film Productions to produce motor racing events, documentaries and corporate presentations. His company pioneered new techniques and equipment including the renowned ‘In Car Camera’ which has become a staple of motor sports presentation worldwide. Later he was the front-man for the Gold Coast Indycar ontrack TV broadcasts at the height of the race’s popularity during the 1990s and 2000s. Away from the screen he was in great demand to host car club and car industry functions. As one of Australia's top voice artists, Ken has voiced innumerable radio and TV broadcasts, documentaries, advertisements and corporate programs and millions of Australians hear him every day, thanks to his long-running role as the voice of the Nine Network, voicing the network's major announcements and promotional messages. Even as a septuagenarian, Ken continued working as a Senior Journalist at Xinhua (Shanghai) News Agency where he wrote and presented TV stories on Australia. Sparkie, died suddenly of a heart attack on 11 September 2016, while hosting a river cruise in France.